"I have a Feng Shui emergency! My life is a mess!" I can't tell you how often I've received that call. It's my passion to help people find their balance and to support their needs but there's often a perception that I bring magic that will and fix their lives. I wish it were that simple, but it's not. Classical Feng Shui is a complex system of scientific and actuarial data, intersecting with the fluidity of time and synchronicity. It's an art and science that deals with seen and unseen energy and I help my clients open the flow of that energy. Think of it as acupuncture for the built environment. Indeed, most clients call with a Feng Shui emergency. There is a page of testimonials on my website that attests to the successes of my clients, but those successes were because the clients were intentional, minduful, fully engaged, and committed. The "magic" is symbiotic. I don't carry fairy dust in my kit but I do engage with my clients at an energetic level to help them holistically bring about positive changes. When you're working with energy, little things can make big differences, but sometimes even big changes yield only small differences...sometimes indiscernible until viewed a distance, from a broader viewpoint. I don't make guarantees because I know the energetic world we live in doesn't work that way. Sometimes people will notice energetic shifts immediately and in other cases it comes gradually, over time. 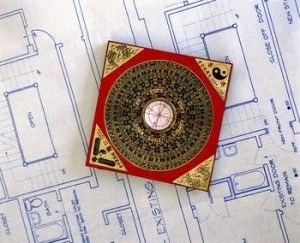 The classical method of Feng Shui is a scientific approach but even with the science of quantum theory, the actuarial aspect of Feng Shui means outcomes may be different. Why? Because the energy of people, earth, and the cosmos is unique in every case. While I can pretty accurately adjust for the earth-people interaction, it's more difficult to adjust for the energy of the cosmos and time, which is ever-changing. Since the universal is cyclical, actuarial data that has been collected over thousands of years provides information about what might be expected. But time is fluid so finding an energetic balance between people energy, earth energy, and cosmic energy can sometimes be a little like nailing jello to a fence. I find this most often in real estate sales, where there are more "moving parts" involving all the players and factors of the property. When the energy/commitment of the seller/leaser, realtor/management company are in chorus and recommendations are followed, then in "perfect timing" the new occupant will appear. But if the owner and/or realtor aren't fully committed, that conflict alone will create an energetic block. If you want to optimize your life, however, Feng Shui is an effective method for bringing you into focus and accessing all energetic opportunities. I do this work because I've seen amazing results. I've seen people's lives and businesses changed in profound ways and it is those moments that makes me want to help more people. When I hear from clients who've turned their businesses and lives around I want to jump for joy!